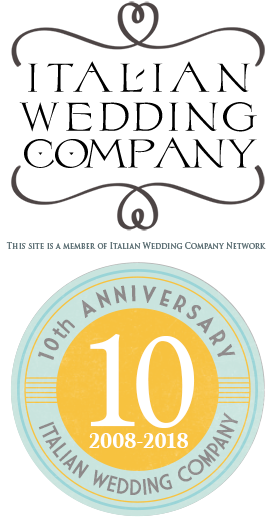 Finally Springs arrives with its wedding season on Italian Lakes! 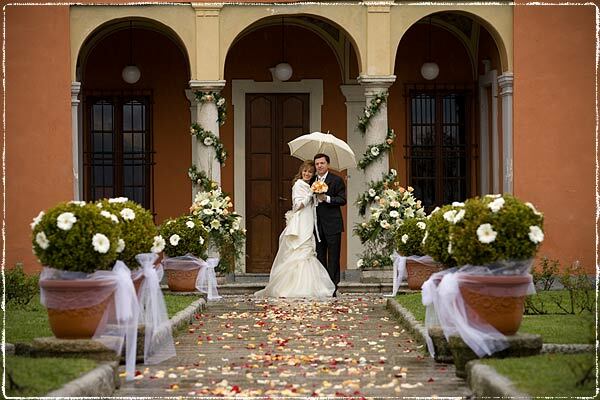 Home » Wedding Flowers » Finally Springs arrives with its wedding season on Italian Lakes! 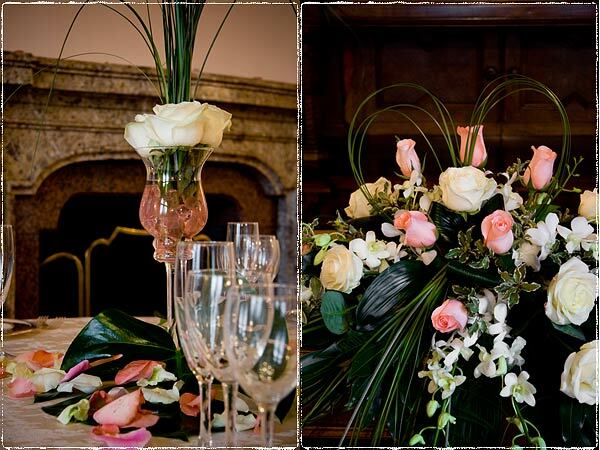 As floral designer last week end I took care of the two first weddings on Lake Orta. 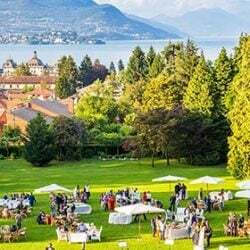 First one was held in Castello di Miasino and the other was arranged at Villa Bossi. Both of them were with civil ceremonies. 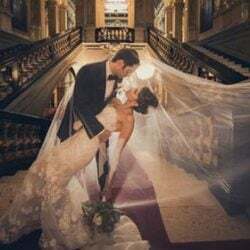 While we are waiting for official images taken by Federico Fasano, to Castello di Miasino and Enzo Franza, to Villa Bossi, I would like to show you some first detail of my first two weddings of the year, today. Ivonn and Giorgio’s wedding at Castello di Miasino had a pink and white color theme. I matched Avalanche and Plaza roses with white Dendrobium orchids. In order to enrich the floral arrangement on ceremony table, I plaited some Bear Grass leaves giving them a heart shape to recall love symbol. As for centerpieces, I used high flute glasses filling them with pink little stones and Avalanche roses. All was emphasized by Bear Grass leaves that went up the composition: a simple and good rate solution that has great effect! 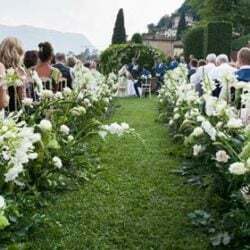 Roses are also Laura and Carlo’s wedding main theme to Villa Bossi, Orta San Giulio town hall, one of the most evocative venue in Italy to celebrate a civil ceremony on the open air. Their color theme was white and orange. I used lovely white gerberas and roses together with long Lilies Longiflorum. The arrangement matched reception venue’s one too. Reception was held to San Rocco Hotel, one of the most exclusive venue of Lake Orta, recently charmingly renewed and reopened. Laura’s bouquet was something really nice too! 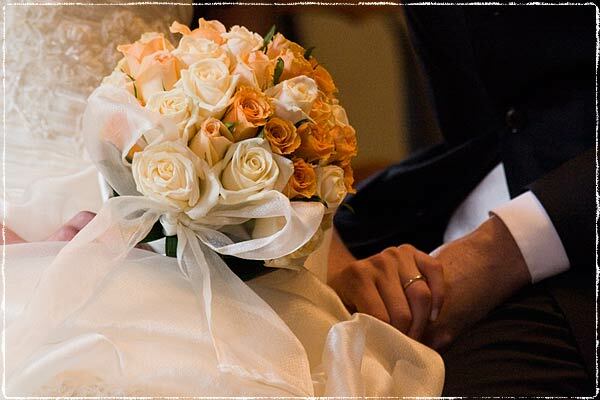 It was a round vintage bouquet colored by many pastel shades, that went from cream white to orange and ochre. All flowers were wrapped in the same fabric of bridal dress. Wedding season has just begun! Tomorrow I have another important appointment: American Bevin and Steven’s symbolic ceremony again on Lake Orta, this time in the perfect frame of Villa Gippini. See you there! 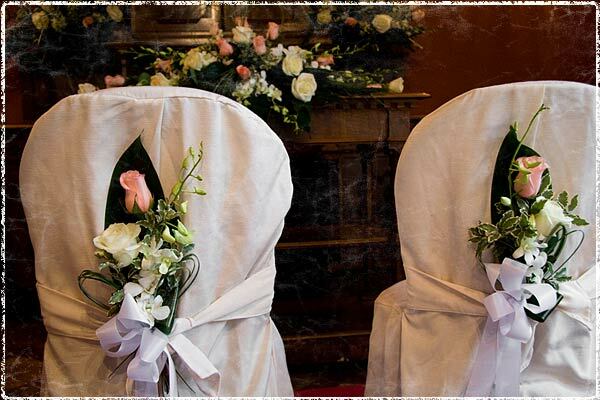 For more information about weddings at Lake Orta please contact us. One Response to Finally Springs arrives with its wedding season on Italian Lakes!